Over the weekend congressman Bertiz was very busy answering those accusations thrown to him over the NAIA viral video. The law maker who drew flak online after ignoring airport security protocol and confronting a security personnel at the Ninoy Aquino International Airport. The OFW representative John Bertiz was admitted to the hospital after a stressful weeks and to undergo series of laboratory tests and medications, chief of staff Francisco Aguilar Jr told Rappler. Suarez said Bertiz, who went through a heart bypass last year and the backlash from his series of controversial videos might have triggered the chest pains. 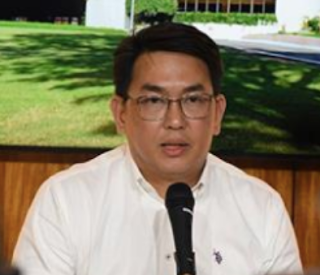 Recently, the lawmaker was criticized after he refused to remove his shoes during a security check at the NAIA last week. Then Bertiz apologized for his behavior, but he compared the way he acted to a woman menstrual cycle. He received more criticism from netizens, who told him his statement was demeaning to women. He later said sorry to women for making this remark. Prior to NAIA incident, He was also criticized for the other viral video in a joke that the new batch of agricultural and biosystem engineers would not get their respective license from the Professional Regulation Commission if they would not say they knew Special Assistant to the President Bong Go. Bertiz accused OFW leader Eman Villanueva of the United Filipinos in Hong Kong Migrante HK of being an undocumented worker and for failing to fight for OFW's right. Bertiz allied minority lawmakers are now mulling filling an ethics complaint against him.